Interventions – The Interventions section of Antipode will now, with a few exceptions, be online. The strength of Interventions consists in part in their attitude and directness: they’re timely and pressing, and they’re often springboards for ongoing discussions. The relationship between geography, social theory, and events such as police violence in the US, the Paris shootings, and the ongoing crisis in Palestine, among other spatial matters, warrant thoughtful yet expeditious commentaries. However, publication can be a slow process: Antipode appears just five times a year, and rising numbers of submissions coupled with a limited page budget means the impact of Interventions can be undermined by long waits in publishers’ queues. Migrating Interventions online will open up the possibility of thinking, writing and sharing ideas, and inciting conversation, in response to events as they unfold. We welcome short (about 1,500-word), perhaps polemical, essays that among other things cast a radical geographer’s eye over “live” events or report on strategies for change and forms of organisation producing a more socially just and radically democratic life. Of course, you will continue to see some Interventions, of a more “reflective” kind, in the pages of Antipode – commenting on the state of radical practice and theory, or introducing debate and disagreement around politically contentious issues of the Left – but AntipodeFoundation.org will showcase some of the best and most provocative radical geographical writing available today. They should be sent to our Interventions editor Katherine McKittrick (katherineintheantipode@gmail.com) and Andy Kent (antipode@live.co.uk) in the editorial office. Book Reviews, etc. 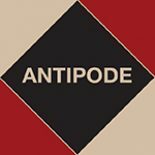 – All Antipode book reviews are now freely available from our online repository, Wiley Online Library. While this digital archive will remain in place, from January 2013 we’ll no longer publish book reviews in the journal; all book reviews will migrate to https://antipodefoundation.org/book-reviews/ This will allow us to feature not only more reviews, but also more substantive reviews (in the style, say, of the London Review of Books), more quickly. The makeover will also transform the book reviews section into a more capacious ‘Book Reviews, etc.’ section, that may now feature, in addition to book reviews, reviews of film and music, grey literature, and political pamphlets–in fact, any texts that have something to say to the radical geographic imagination. We also welcome reviews of non-English-language texts–reviews that break down some of the barriers between language communities, enabling hitherto under-represented groups, regions, countries and institutions to enrich conversations and debates in Antipode. If you’ve an idea for a review, please get in touch with our Reviews editor Andy Kent (antipode@live.co.uk). Video abstracts and interviews – These are intended to not only introduce readers to authors’ forthcoming work but also make links between it and the concerns of our times. We ask authors to sketch-out what their research is all about and why it matters (and perhaps think about where it might go to next, thus offering some notes towards further investigations or an introduction to future discussions – threads to be drawn out and spun on in new, maybe collaborative, work) and reflect on its implications for praxis, that is, how it may help change or shape the world in progressive ways. A line from Antipode’s often-quoted first editorial bears repeating: ‘That the geographer can contribute to this process in a significant way is evident to us; just what [s]he can contribute is still at issue…’. We hope our authors’ meditations will prove thought-provoking contributions to an ongoing dialogue on the meaning and value of academic labour. Finally, we also welcome: ideas for virtual issues of Antipode that explore the digital archive and highlight groups of papers speaking to issues both timely and “timeless”; critical responses to Antipode papers (and authors’ replies); calls for papers, conference announcements and news of upcoming lectures; details of recently completed PhD theses in radical geography; any resources you’d like to share such as syllabi, teaching and learning guides, etc. ; and all suggestions for other kinds of content. And while it should go without saying, let us be explicit and state that we encourage contributions of all sorts that are collaborative in nature, and that are both consequence and cause of the exchange of ideas across sectors. We encourage participation and engagement, cooperation and co-enquiry, both within and beyond the academy. We also encourage contributions that are adventurous, that explore the boundaries of established academic practice, and that trespass and disrupt disciplinary borders. To quote David Stea’s wonderful editorial one more time: ‘Contribute what thoughts you can; criticise what you must; but if you share our sentiments, wish the endeavour success’.